How Do I File for Medical Malpractice? Home/Blog/How Do I File for Medical Malpractice? If you have been injured or have a loved one that has been injured due to medical negligence, you may be considering filing a medical malpractice case. While state laws can vary on medical malpractice – and you definitely want to research your state’s laws before you begin – there is a general sequence of steps that most medical malpractice cases follow. If you are thinking about a lawsuit, it is important that you take the proper steps in the right order, so you can protect your interests and ensure that you have the best chance of success. 1. Talk to an attorney. It may seem like you should get everything ready before you speak to a lawyer, but in reality a consultation with a legal professional should be your first step if you are considering a lawsuit. A medical malpractice attorney will be well-informed about your state’s laws and will have the experience necessary to see your situation clearly from a legal standpoint. It is worthwhile to make sure that your situation merits a case before you go through a lot of extra work trying to prepare for legal action. If you cannot get an attorney to take on the case, chances are your case will be unsuccessful if you were to pursue it on your own. 2. Know the statute of limitations. The statute of limitations refers to how long you have to file a lawsuit after you are injured, or after you realize that you were the victim of medical malpractice. You need to know how long you have to file the case in your particular state. If the statute of limitations has passed, the state court will not hear your case. You can look up the statute of limitations for medical malpractice online, or you can ask the attorney that you speak to. Anyone familiar with medical malpractice will urge you to file sooner rather than later specifically because of the statute of limitations – because once it is passed, you have very little chance of a winning case. 3. Contact the medical provider. In most instances you will want to contact the medical provider you believe is responsible for your injury before you file a case. By contacting the doctor or other medical professional you give the other party a chance to explain what happened and offer to remedy the situation as best they can. You may decide not to accept the offer and move forward with the case, or you may get the response you need for your situation. 4. Seek out the medical provider’s licensing board. Speaking with the licensing board responsible for the medical provider’s license lets you gain extra insight into your case and may provide additional steps to remedy the situation. The licensing board may also reprimand the medical provider based on the information you provide. 5. Contact relevant insurance providers and employers/facilities. By getting in touch with the medical provider’s insurer, employer and/or medical facility, you give them the chance to respond to your potential lawsuit. They may offer you a settlement that is preferable to going through an actual lawsuit – which is time consuming and expensive. Your attorney can provide guidance throughout the process, helping you decide if the settlement offer is sufficient to your circumstances. 6. Get a medical expert witness to review your medical records. Before you file a case, you want to get the opinion of a medical professional who understands medical malpractice cases. A medical expert witness can review your medical records to determine if medical malpractice did occur, and can serve as a witness during your case. 7. Talk with your attorney about a settlement. An out of court settlement may provide a solution to your situation that best serves all sides. By settling out of court, you save on attorney fees and the medical provider avoids needing to go to court. Consult with your attorney about the possibility of a settlement, and carefully consider the option if your attorney recommends it. If you are considering a medical malpractice case, please get in touch with Dr. Edward Mallory to learn more about his services as a medical expert witness. He can assist with your medical records review and serve as your expert witness during your case. By Edward Mallory| 2017-10-26T10:05:06+00:00	November 2nd, 2017|Blog|Comments Off on How Do I File for Medical Malpractice? 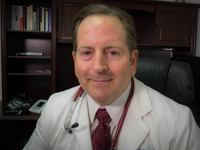 For over 25 years Dr. Edward Mallory has practiced emergency medicine. He is a residency-trained, board certified emergency medicine physician and is a medical expert in this field.